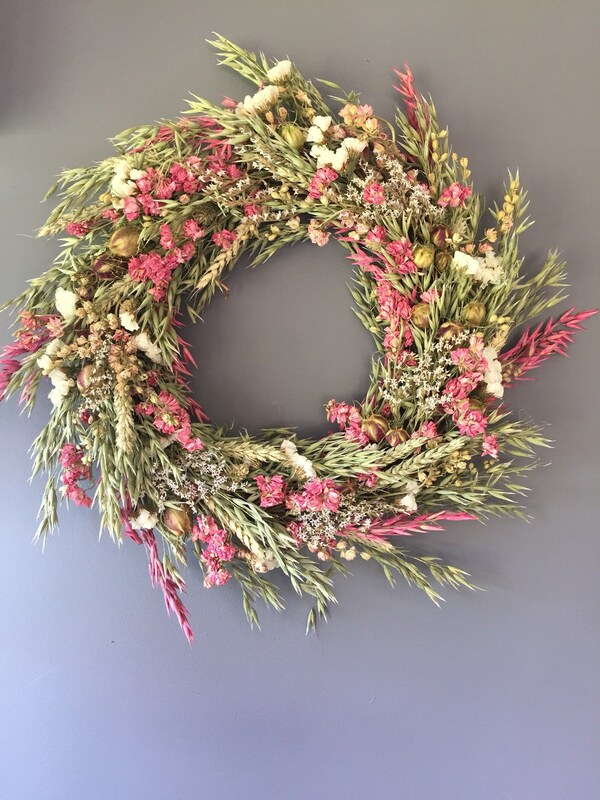 This Wreath is 16 inches in diameter and is made from dried flowers and grasses. 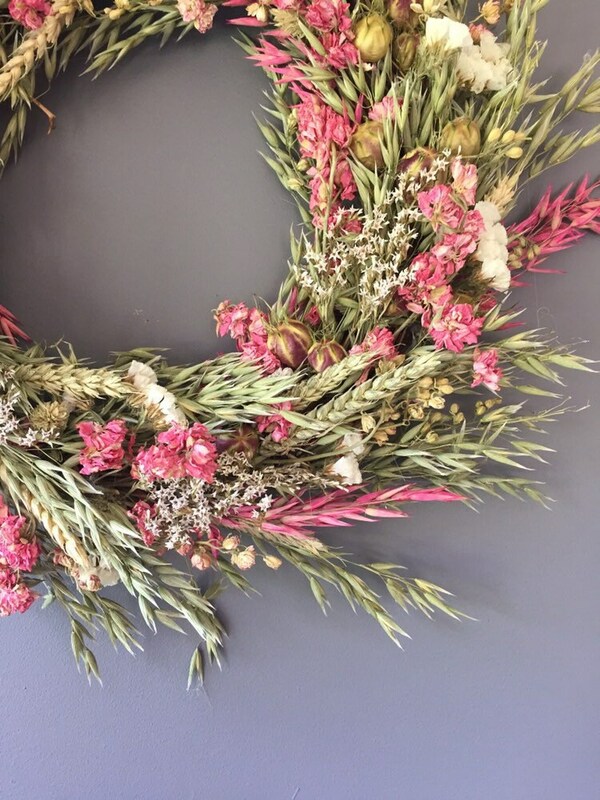 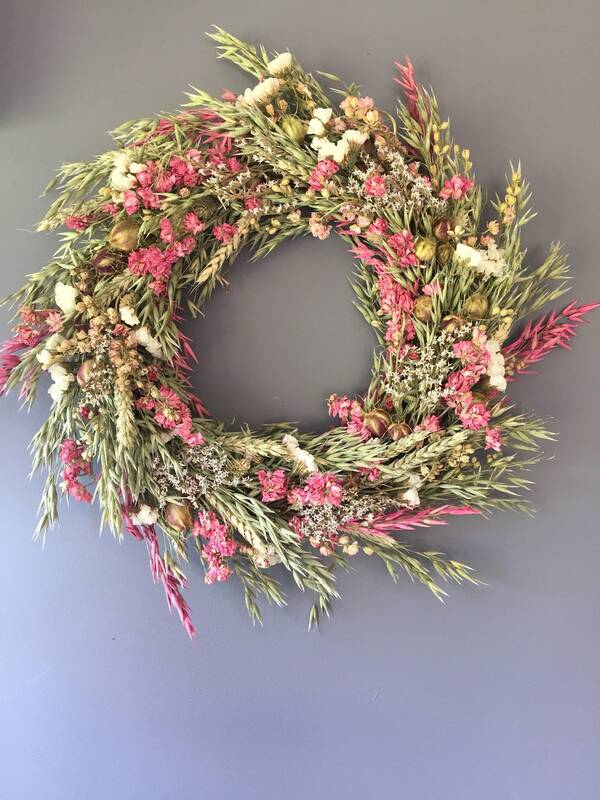 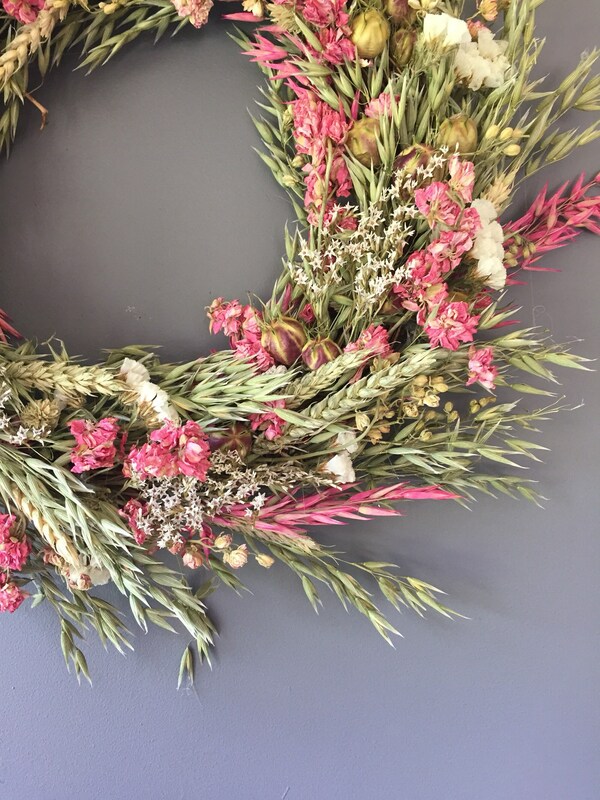 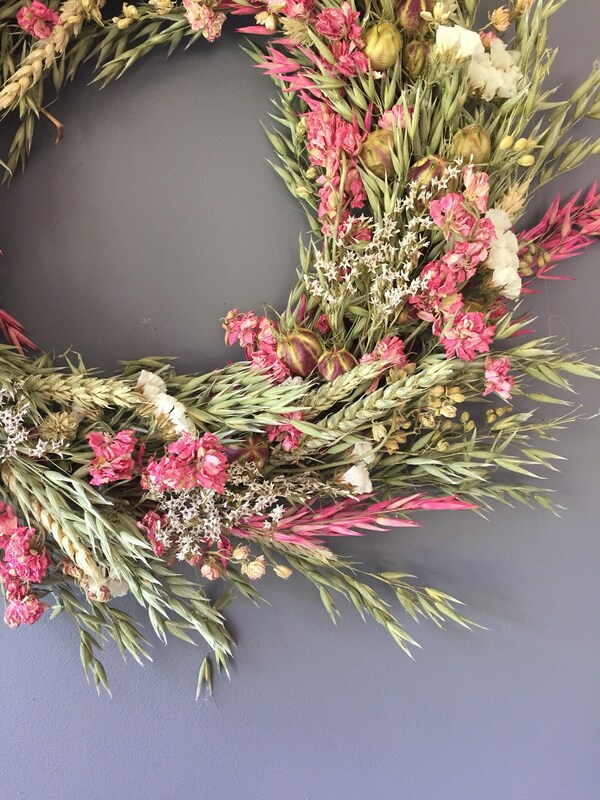 The white statice flowers and pink larkspur are at the main players but they are complimented by oats, wheat,nigella seed pods, sea lavender, and many more to make a natural flowing Wreath that would be perfect in a country kitchen or any other country living space. 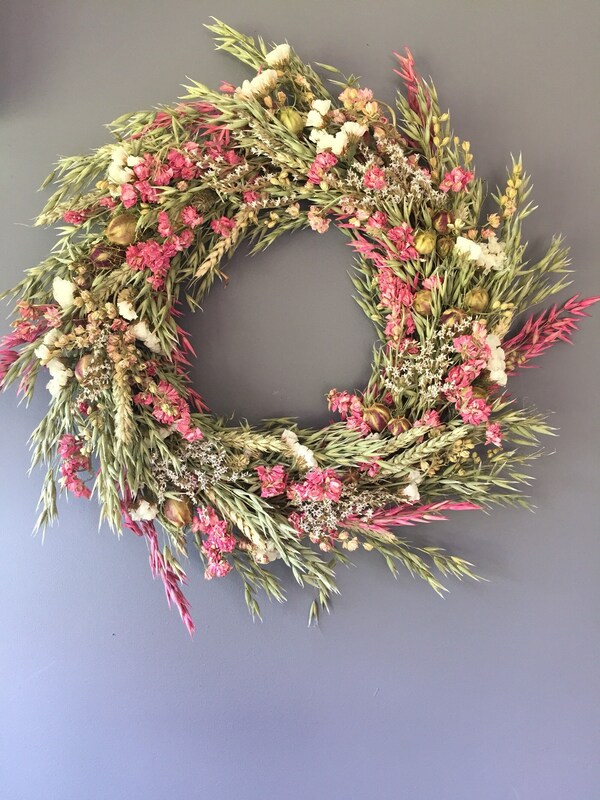 This is not suitable for outside.